Main level 1st floor: 10,500 sq ft of ground floor space. 2,500 square foot studio A. 2nd floor: 1,300 sq ft of renovated offices, comprised of 5 private offices and conference room. Plus: 2,200 square feet of lofted space and 1,250 sq ft of finished storage/lower level area. 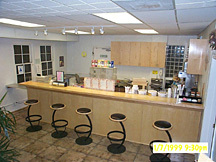 Great kitchen/cafeteria area, air-conditioned basement for workshops, seminars and theatrical classes. 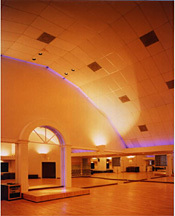 Great for new business start ups, rehearsals, workshops, meetings, events and parties. Quest also has Offices/Suites for rent. 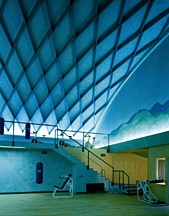 Studio A: 65 wide by 45 deep with vaulted ceiling, mirrored on three walls. Hardwood floors. Studio B: 33 wide by 33 deep with vaulted ceiling, mirrored on one wall. Hardwood floors. AT STOCK LOCATIONS WE DO NOT CHARGE ANY ADDITIONAL FEES TO HIRE OUR VENUES.